Let your dreams of a colorful Southwestern bath start with a set of cross embroidered towels. The face of each 100% cotton, terry looped, sheared bath towel has a dobby hem and a band of microsuede. 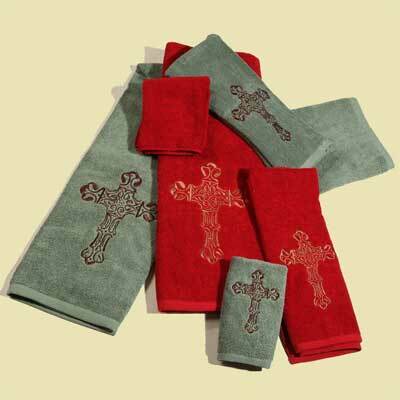 The towels are embroidered with a western Cross Design. Machine wash warm and tumble dry low; or dry clean. This plush towel set is available in turquoise. Each set includes 3 pieces: - One Bath Towel (28" x 51") - One Hand Towel (31" x 16") - One Finger Tip Towel(20" x 11").